Israel's parliament passed a controversial bill Thursday recognizing the country as the national and historical home of the Jewish people, granting Jews the "unique" right to "exercise national self-determination," reports The Times of Israel. Why it matters: Israel's status as a Jewish state had not previously been enshrined in law. Among other things, the largely symbolic legislation reiterates that Jerusalem is the capital of Israel and officially names Hebrew as the "state's language." The proposal generated passionate opposition in a country where 20.9% of the population identifies as Arab. 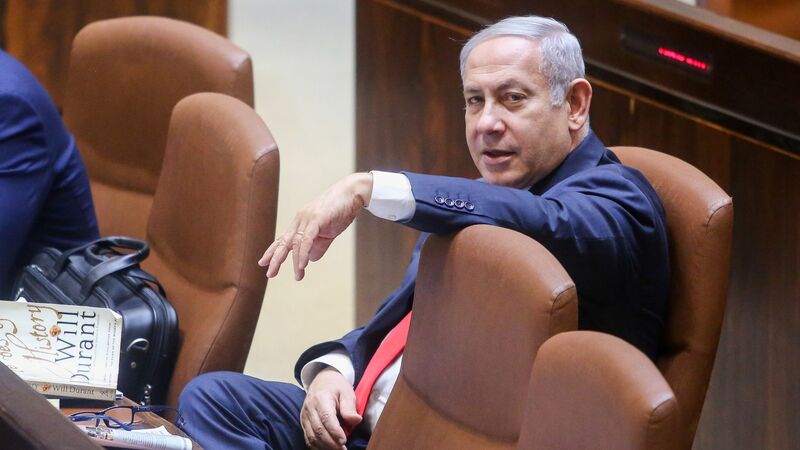 The law was originally proposed more than 8 years ago when every few years Netanyahu raised it as part of an attempt to rally his right wing nationalist political base. The law that passed is a diluted version of previous drafts which included a clause to legalize the formation of villages and small towns for Jews only, a clause which put Israel's Jewish identity above its democratic system, and a clause that would order the courts to make verdicts according to Jewish law. The law that passed is mostly symbolic and will almost have no practical meaning. Nevertheless, it is highly offensive to Israel's Arab citizens, who see the law as another step by the government to sideline them and prevent them from being treated equally.